Custom-designed specifically for their course assignments. Focus on general information literacy skills. Highlight relevant databases, search strategies, and other library resources that provide support for course assignments. Can be presented in your classroom or in the Library. Request a session now by using our online request form, calling the Library Service Desk at 936-294-1599, or contacting the Instruction Librarian at instructionlibrarian@shsu.edu. The Library also offers tours and workshops which are open to all. To request an embedded librarian for your online course, please fill out our online request form. This program provides free, personalized research assistance for students working on a thesis or dissertation. Faculty members are encouraged to place materials on reserve for their students. Materials placed on print reserves may include personally owned books, photocopies (with copyright restrictions), and books owned by the Library. An electronic reserve system is available 24 x 7 from home or campus. The Library adheres to copyright guidelines. We will contact copyright owners, when needed, and request permission to place material on reserve. That can take some time, so faculty members who wish to place material on electronic reserve should allow 2 – 3 weeks for processing. In the event a copyright owner denies permission, the material cannot be placed on reserve, or, if already on reserve will be removed. The Library's reserves personnel need a clean copy of print material to be scanned into the system. Faculty teaching off-campus courses or online courses will find Electronic Reserves an especially useful way of providing access to readings. Call 294-1628 for more information regarding suitability of material, copyright restrictions, and required lead time. Faculty may encourage Distance Learning students to make use of the Library's Distance Learning Services. 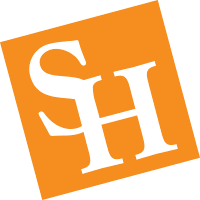 Eligibility is limited to students who are both enrolled in SHSU off-campus courses only and who live outside Walker County; these services are not available to students who take one or more courses on the SHSU campus or persons not affiliated with SHSU. See a complete description of services and policies. Contact the Library Service Desk for information about using the Library or for help in navigating the Library's electronic resources. Need assistance in your office? A librarian will show you how to use electronic databases; find full text journal articles; stay current with the latest electronic resource acquired by the library; and search the web effectively. Subject librarians also work with faculty to develop a collection of materials that supports the curriculum and research activities. To obtain material not held by the Newton Gresham Library, you can place requests online using the ILLiad website. See answers to the most frequently asked questions about Interlibrary Loan. Faculty>Direct offers delivery to SHSU faculty members of articles and books that the Library holds. Faculty members are encouraged to recommend materials to be added to the library collection. Materials recommended to support the instructional program of the university will be given first priority. Recommend books, ebooks, and other materials such as DVDs or CDs. For detailed help using these forms, consult the Faculty Recommendation Instructions. For further assistance in ordering, contact Teri Oparanozie or your subject librarian. Turnitin and SafeAssign are an intellectual property verification tool that checks a submitted paper against a comprehensive database of source materials to determine how much of the paper is original, and flag text identified as closely matching other internet, article, or other information sources. SHSU Online provides more information about these resources. They are available through Blackboard. Please go to Blackboard > select the desired course > Course Management menu: Course Tools > select either SafeAssign or Turnitin Assignments for more information and setup instructions. For help, please contact SHSU Online Support Desk.